Four stringed small body guitar, tuned in fifths like the cello. Was used in the past in some "chorinho" groups. Some solists are re-discovering it. 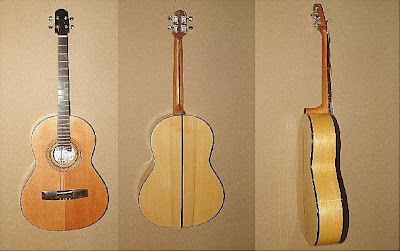 This one is made on Ivorywood with Alaska hard Spruce top.